The disciples were witnesses to Christ's resurrection and clear about the Gospel they were propelled to share . I met an old man in England, Peter Rose, who had been introduced to Christ in Calcutta, India as a British soldier during World War II. The man who led him to Christ, Billy Ward, knew he would not, due to the war, see his new friend again. So he gave the soldier the best advice he could before parting ... seven simple words..."Now, Peter, read your Bible every day." The young soldier had experienced the sinking of two ships out from under him only 30 days apart. Surviving miraculously Peter knew God had a purpose for his living and followed advice of his brief friendship, reading his Bible daily - for 60 years. At age 90 Peter said to me, "it's the best advice I ever received." Let me invite you to do the same. Jesus said, "Man shall not live by bread alone but by every Word that the LORD your God speaks." This is the balance of life: "bread" and "the Word of God." 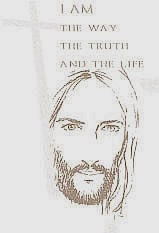 Reading the Bible can be as simple as taking a few minutes for a daily 'quiet time' - a pamphlet (now out of print) which I read shortly after responding to the grace of Godthe spring of 1967 and which has shaped my life to this day. I found, after her death, in my mother's bible a helpful aid to prayer. Over the years I've placed my Bible a bookmark at Genesis (history), Job (wisdom), Isaiah (prophets), Matthew (Gospels) and Romans (letters). I encourage you to do the same. By moving forward one chapter in each section daily you will be taken you through all major themes of the Bible's transformational "love and rescue" message. At the following link I've posted additional ways to read a chapter each day and meditate on it's meaning for your life. I hope you will take the old Englishman's advice and make this simple habit a priority, regardless of the challenges, into your schedule also. For additional ways to grow in your relationship with Christ, please click here.